beef and Vignola cherries; it´s like finding sweetness in a supposedly sour fruit. 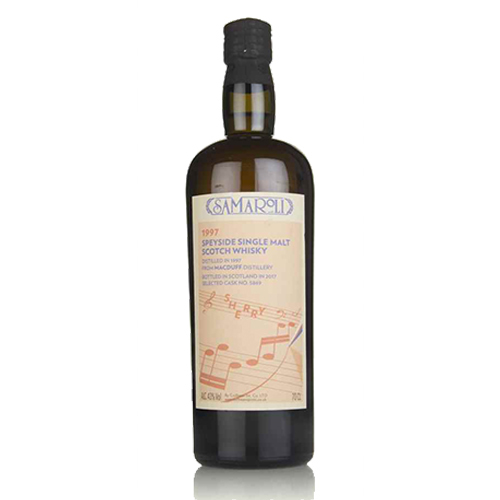 The austerity of this very "beefy" single malt mingles with the pungent sweetness of the sherry cask. once confuted in the mouth. The sweet tones quickly join together and the most persistent ones then linger, more as an aftertaste.